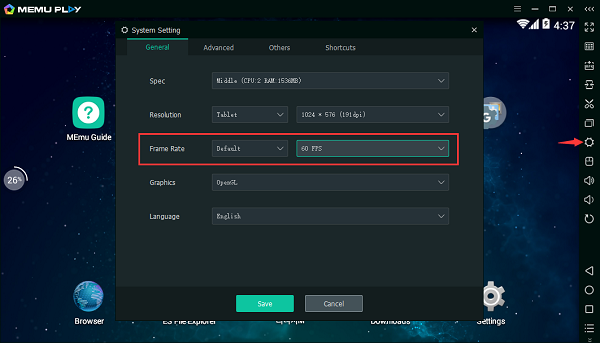 You can change frame rate as you want in System Setting. It’s suggested to lower frame rate when you struggle to run multiple instances at the same time. Anyway, the upper limit is 60 FPS. 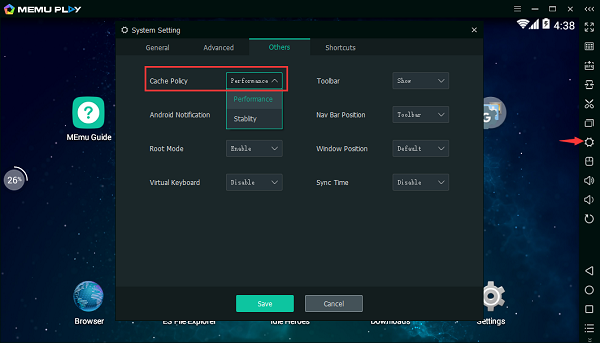 You can change cache policy to stability in System Setting. It would keep data integrity as much as possible by sacrificing performance a little. For example, it might stuck at loading 99% when you had a power failure, if set cache policy to performance. 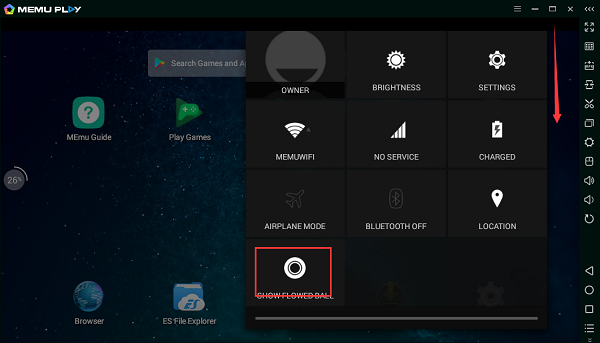 You can enable or disable the floating dock in Android drop-down menu.